I know we are all fed up with the endless L train delays and stoppages, and even more sick of hearing about it. While I tend to avoid all this nonsense (thank GOD for the JMZ! ), this mini public transit crisis has given me pause to reflect on all the reasons to stay in Bushwick for the weekend! This weekend, forgo the transit nightmare, grab a few friends and maybe your dog, and create your own art crawl! These five art galleries take you to almost every edge of the neighborhood and make you forget about the "hell" train - at least until Monday. 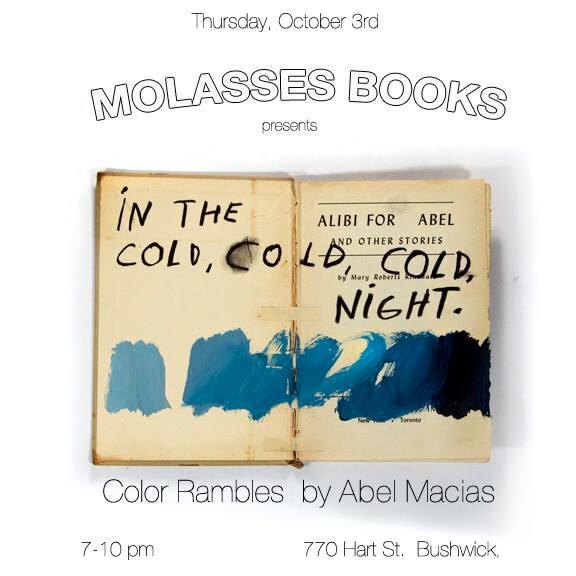 For one night only Molasses Books, one of our favorite local bookshops, will showcase the work of artist Abel Macias. Culled from his collection of antique books, Macias' works bring to mind the essence of the books that he uses as his canvases; the smell, the texture, the history, and the subjects all inspire her use of color and words he adds to the pages. 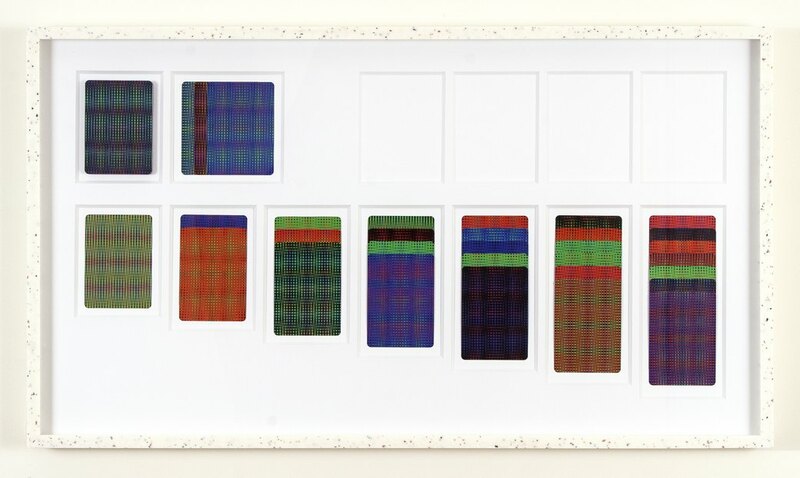 "Like the Pantone color chart but for memories," Macias explains, the compositions draw from both the collective memories of all the people who have turned the beloved pages and his own memories, all encapsulated within. In this inaugural exhibition for this newcomer gallery to the 56 Bogart building, Life on Mars presents the works of fourteen unique artists that all deal with the complex issues of scale. The reason an artist might choose a specific size for a work varies; sometimes it is an matter of practicality when dealing with a small studio space, while other times it rests on the artist's specific desire to express him/herself in one metric or another. Whatever the impetus, scale plays a crucial, and oftentimes overlooked, role in the creation and the receiving of a work. The show is meant to investigate this fundamental premise of the artistic practice and will ask its viewers to ponder this very issue, front and center. Straddling the border between painting and sculpture, John Dante Bianchi's relief sculpture begs to be considered within both genres. 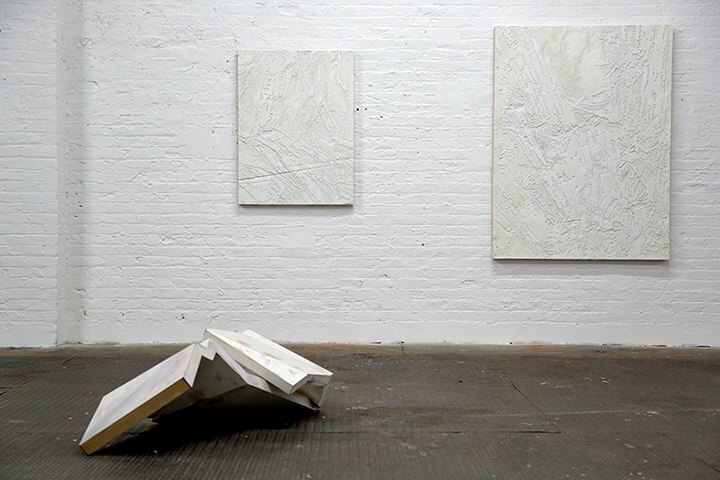 The wall-mounted reliefs included in the show recall the motion and energy of an Abstract Expressionist composition while bringing in certain elements of chance into the mix. 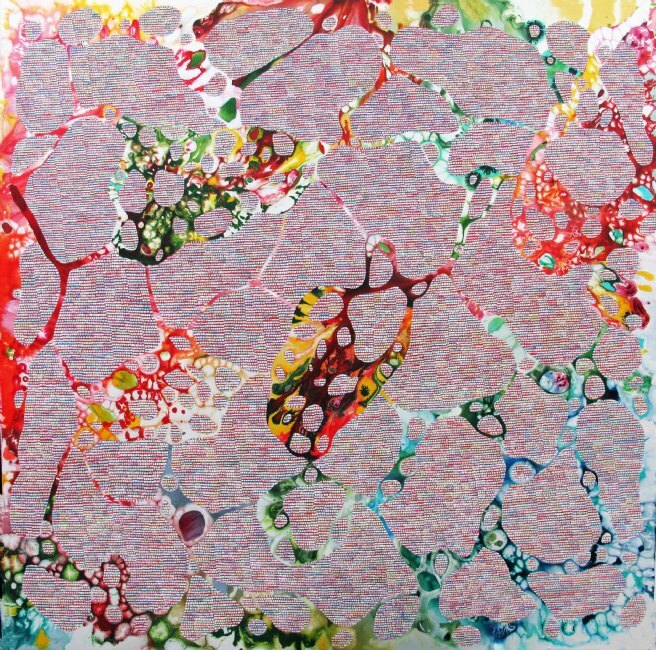 A combination of chance deterioration, created when the paint he uses comes into contact with the foam support of the surface, and the predetermined "masked out" areas gives the effect of an image unearthed. Drawing from one of the most iconic card games, as well as tugging the heartstrings of early PC users everywhere, Joshua Caleb Weibley's Double Solitaire immediately induces a deeply nostalgic sentiment. Laid out on mats around the gallery space, each editioned set of cards is presented, waiting to be activated in the space by the viewer. Reminiscent of chess boards painted on park tables that beckon players to come and interact in the communal space, the solitaire game offers this same pull, but we have to remember that Solitaire is played alone. Placed in this completely novel context, it will be interesting to see how this game plays out. 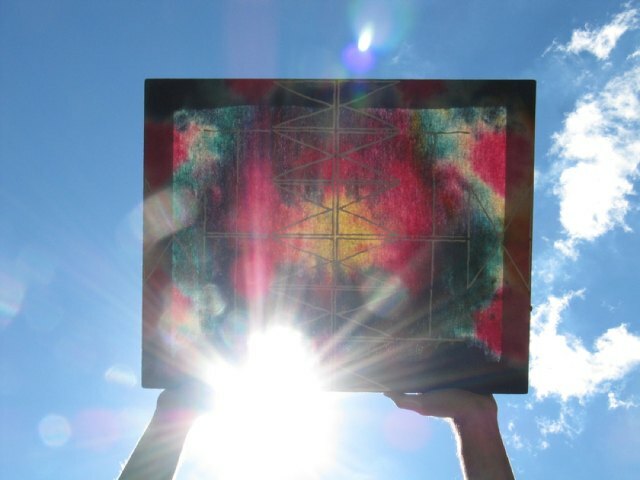 This is the LAST weekend to see Sardine's current show of works by Matthew Mahler, in case you haven't been yet. Even if you have already seen the show, this weekend the gallery will be rearranging all of the works on view, challenging visitors to review, relive and event reevaluate the artist's works. The re-hanging of the show parallels the artist's personal aesthetic redirection in his art making as he moves away from "commonplace abstraction" to more "idea-directed narratives."